With the new year, comes a new spiritual theme for LDS Youth. 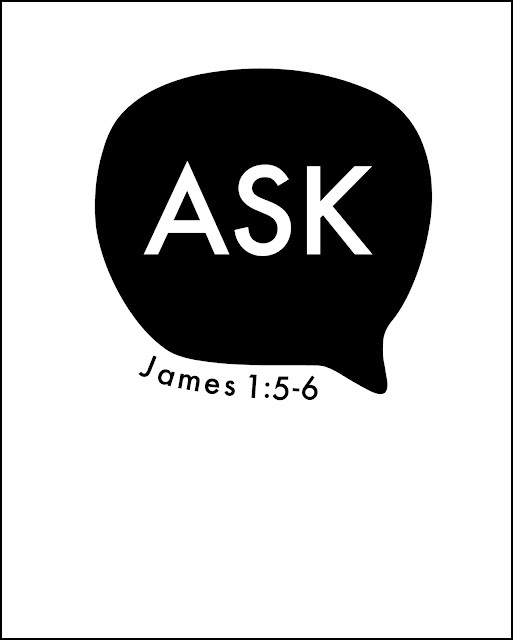 The 2017 LDS youth theme for this year is the scripture James 1:5-6. I work with some amazing young ladies, so I get to learn and work on the theme each year. Every year the theme is based on a scripture. For the whole year we spend time memorizing and focusing on activities that represent this theme. So to start the year off right, I am teaching a lesson about asking and praying to your Father in Heaven for answers. 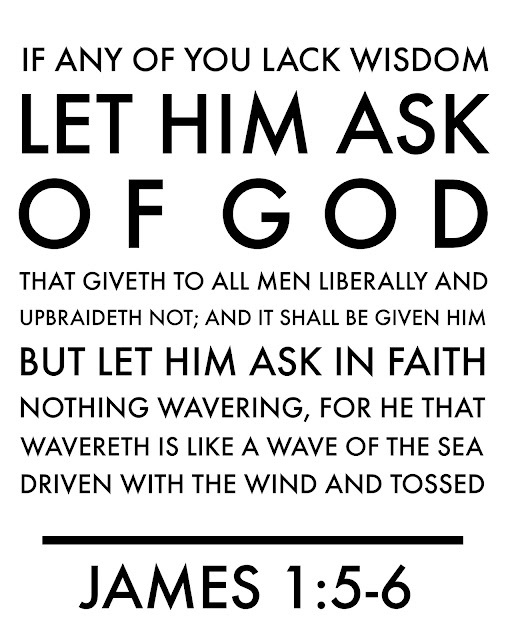 I made the above poster to help with the memorization of the full scripture reference. I also made a simplified poster inspired by this moving VIDEO introducing the theme. I am really excited about this theme and the reminder it is that we are children of a loving Heavenly Father who wants to hear from us. He wants to know our questions. He wants to answer us. He is there for us. Both of these printables can be downloaded as posters. I will only be printing off the full scripture as a poster. 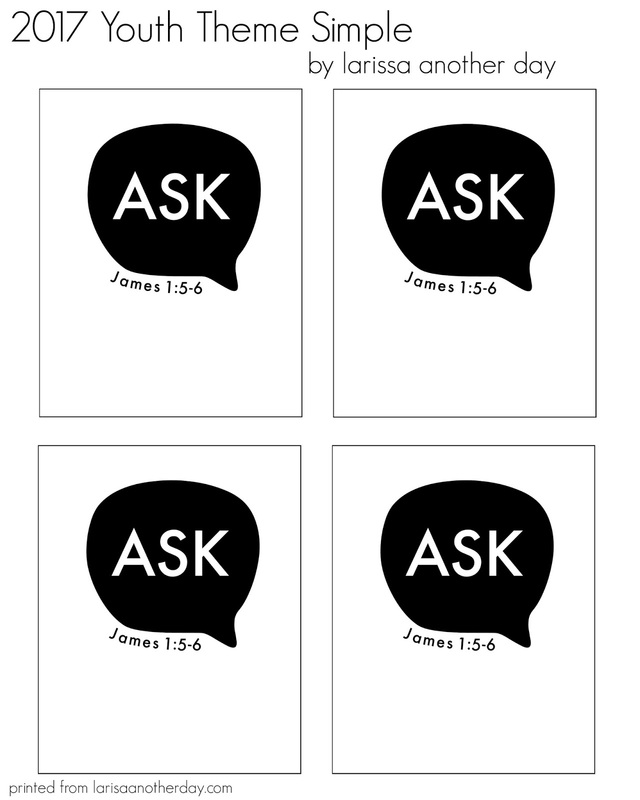 I will be using the simplified image as cards that they can put in their scriptures, hang up in a locker, or put on their mirror. I put together a printable with this smaller option. I suggest printing them on cardstock. Happy New Year. I hope you find these printable useful and that they help inspire your youth.